The Needle Points North — to Ward’s Pound Ridge! Pass the Hot Chocolate please! One of the basic skills that a Scout learns is how to use a map & compass–something that comes in handy in these hi-tech days when people rely blindly on GPS units. The dictionary defines orienteering as a “competitive sport, originating in Sweden, that tests the skills of map reading and cross-country running, in which competitors race through an unknown area to find various checkpoints by using only a compass and topographical map, the winner being the finisher with the lowest elapsed time.” On this clear Saturday, the scouts of troop 353 gathered at nearby Ward Pound Ridge (a long-time camping destination for many local scout troops) and took a different approach to orienteering. They did not run competitively through the woods, but there was a contest. In addition to following a set orienteering course with pre-marked topographical maps, patrols were awarded points for finding additional markers. Likewise, the senior scouts planned three different advancement stations along the 3-mile orienteering course: fire building, lashing / knots and first aid. Each station had fires for boys to warm their hands or brew some quick hot chocolate as the temps were in the 30s that day! For some great photos on this hugely popular event, click here!! 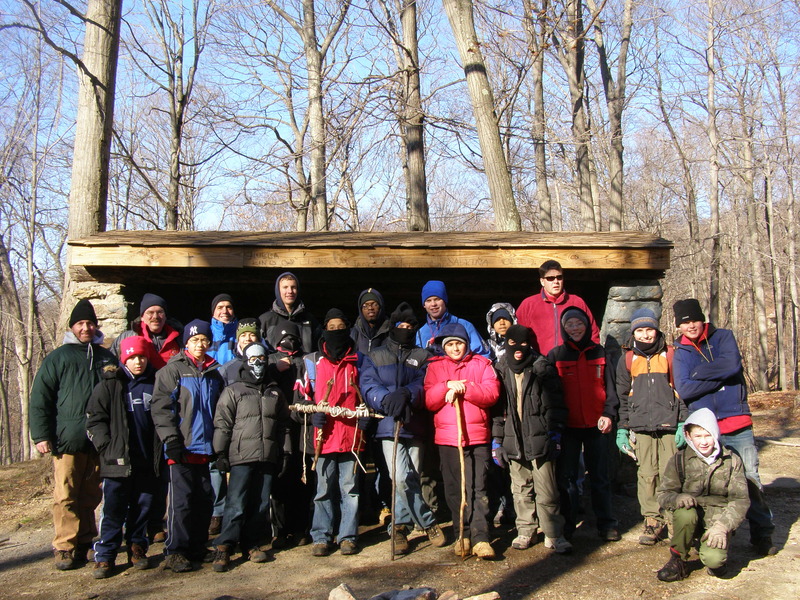 Author scoutmasterPosted on December 28, 2008 April 22, 2009 Categories Activities, Events, Hiking, PhotosLeave a comment on The Needle Points North — to Ward’s Pound Ridge!